NOTE: Please remember that in order to carry on any of the following processes in the Consulate, you will need an appointment. In order to schedule your appointment, please read the requirements for the selected process and either email consul@costaricanembassy.co.uk or call 020 7706 8844 - ext 203. The renewal of your identity card has to be requested in person, at no additional cost, and requires you to schedule an appointment with the Consulate. Expired identity card or copy of your birth certificate, the former being less than a year old. Two passport size photographs with a light gray background. NOTE: If your identity card (cédula de identidad) has been expired for more than ten years, you are required to come to the Consulate with two Costa Rican witnesses who must bring their original valid identity card (cédula de identidad) along with a copy. Please take into account that the process in the Consulate can last about 45 minutes. Once your request has been processed this will be sent to the Civil Registry of Costa Rica for the appropriate action which can take up to two months. Your new identity card must be picked up personally at the Consulate. A new identity card has to be requested in person, at no additional cost, and requires you to schedule an appointment with the Consulate. Passport or copy of your birth certificate. NOTE: The applicant must be accompanied by two Costa Rican witnesses (can be relatives or other Costa Ricans who can confirm your identity) with their original valid identity card. Please take into account that the process in the Consulate can last about 45 minutes. Once your application has been received, it will be sent to the Civil Registry of Costa Rica for appropriate action which can take up to two months. Your new identity card must be picked up personally at the Consulate. A new passport has to be requested in person and has a cost of $132.00, including the courier mail service. Please note that you must schedule an appointment with the Consulate, and the payment must be made either the day before or the day of said appointment. The collection of all the information of the applicant will be done digitally. The passport is valid for 6 years and it is not renewable. Valid identification card (cédula de identidad) in good condition. If the passport has been stolen, the applicant must attach a copy of the police report. If the passport has been lost, the applicant must attach an Affidavit. 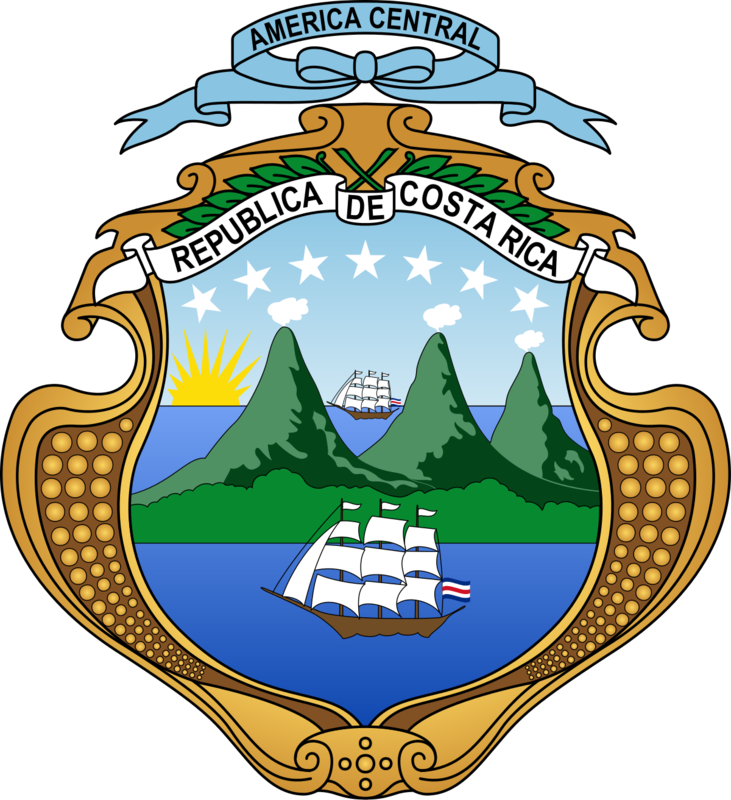 The permit for minors (less than 18 years of age) to leave Costa RIca is an authorization given by a minor’s mother or legal guardian so that the minor might leave Costa Rica. This process does not have any additional cost and requires an appointment in the Consulate. The mother, father, or legal guardian of the minor must arrive at the Consulate with a valid Costa Rican identity card, or a passport should this person not be Costa Rican. The person attending the appointment must bring the minor’s birth certificate, the document having been obtained from the Civil Registry of Costa Rica less than a year ago. Two passport size photos of the minor with a light gray background. Once the documents have been presented at the Consulate, they will be immediately sent to the Department of Minors in the Office of Migration, where the information will be input into the system. Once this is done, the child will have no trouble exiting Costa Rica. The minor’s temporary exit permit will be valid for 30 days from the moment that the Office of Migration receives the documents. If one of the parents is in Costa Rica, this person must go to the Office of Minors in the General Directorate of Migration and Aliens in La Uruca to carry on the appropriate process. Afterwards, the parent must contact (in Costa Rica) an official translator so that the document is translated into Spanish so that it can be presented to the Civil Registry for the registration. The registration process has no additional cost. The birth certificate must be translated to Spanish and the translated version must be notarized by a public notary and taken to the Consulate. In the Consulate, the parent must fill out a birth form that will be sent to the Civil Registry along with the documents. On the day of the appointment, the parents of the child must attend and bring a valid identity card (cédula de identidad). Please take into account that you do not need to bring your child to the Consulate for this process, unless he or she is between 18 and 24 years old, in which case your child must be present with a photo ID. The registration of birth must be made before the person in question turns 25 years old. After this age, the parents are no longer able to register their child as Costa Rican and he/she will first have to request residence to then become a naturalized citizen.